The Italian snatched a 2-2 draw with 10-man West Ham moments after being introduced as an 88th-minute replacement for the injured Billy Jones, who was carried from the pitch on a stretcher while being given oxygen. It may prove to be too little, too late for the Black Cats and manager David Moyes but opposite number Slaven Bilic was left fuming after seeing his side twice pegged back after taking the lead through Andre Ayew and James Collins in front of a crowd of 40,168 at the Stadium of Light. Wahbi Khazri, starting for the first time since October 29, scored direct from a corner for Sunderland in between. The beleaguered Moyes found himself a target for the boo boys as his afternoon began in familiar fashion. 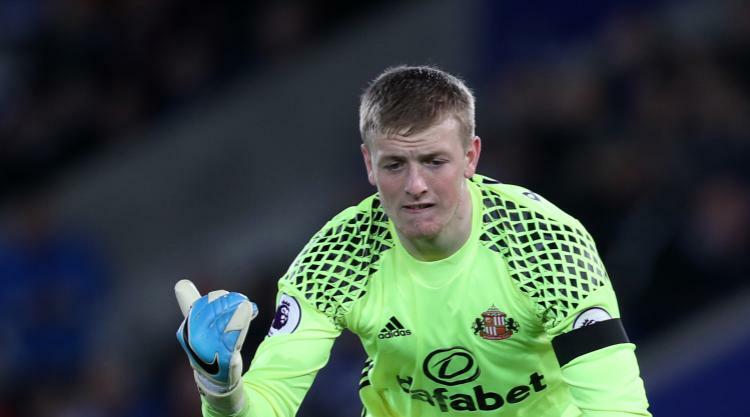 The game was just seconds old when midfield enforcer Lee Cattermole was booked for a trip on Ayew on the edge of the box, and keeper Jordan Pickford had to dive to his left to parry Manuel Lanzini's second-minute free-kick. But there was nothing Pickford could do to keep the Hammers at bay three minutes later when Andy Carroll scuffed Sam Byram's cross back across goal and Ayew tucked the ball into the net, with the home side fuming that play had not been stopped after Victor Anichebe had gone to ground at the other end of the pitch. John O'Shea, back in the team after being given compassionate leave following the death of his father, headed a ninth-minute Khazri free-kick straight at Republic of Ireland team-mate Darren Randolph as the Black Cats attempted to rebuild, but their progress was initially laboured. By the time the clock reached the 20-minute mark, there were chants of "We want Moyesy out" from a section of the home support, although their mood improved markedly six minutes later when, seconds after seeing penalty appeals waved away, they levelled in curious circumstances. Khazri's inswinging corner had sufficient whip to evade not only all the red and white shirts, but also Randolph and his defenders before nestling inside the far post. Even in his moment of joy, the Black Cats boss was not spared with some supporters singing "Are you watching David Moyes? ", a reference to his reluctance to select the Tunisia international in recent months. Khazri was denied a second by Randolph after running on to Jermain Defoe's lay-off in first-half injury time with the home side having rekindled hope. However, they suffered a major blow within two minutes of the restart when defender Collins glanced Robert Snodgrass' corner wide of Pickford to restore the visitors' lead. Didier Ndong should have levelled with 19 minutes remaining and his side's afternoon took a turn for the worse when Jones was badly injured in a collision with opposite number Arthur Masuaku. However, Borini pounced on an error by Randolph to make it 2-2 and 10 minutes of stoppage time could not separate the teams.